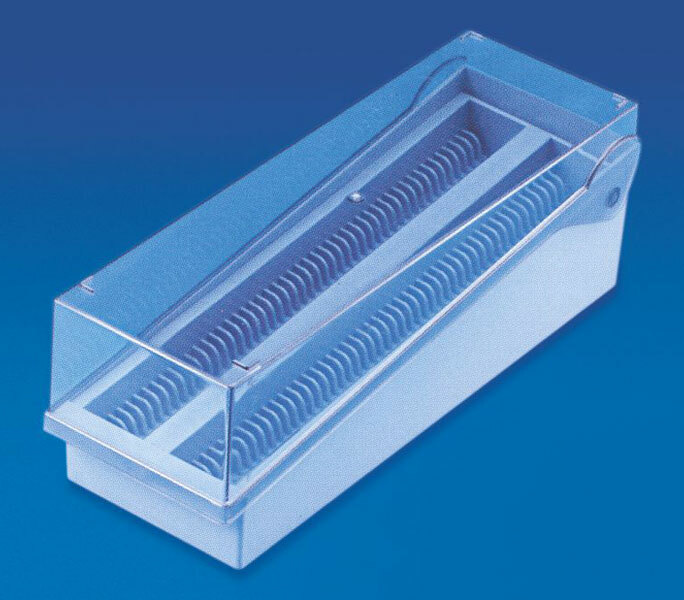 We are engaged in providing Slide Storage Rack can hold 100 slides which are recognizable through the numeric indexing. Spacing between the slots provides adequate backward & forward movement of slides for convenient recognition. Made of ABS, the transparent cover provides excellent view of the slides stored inside.